While all brands acknowledge a trailing off of vehicle sales last year, there was definitely a silver-lining to Australia’s new vehicle sales figures. Over one million new vehicles were sold in 2008, only the second time ever the seven-figure mark was reached. Toyota Australia delivered 238,983 vehicles, 2336 more than its previous record set in the boom sales year of 2007. 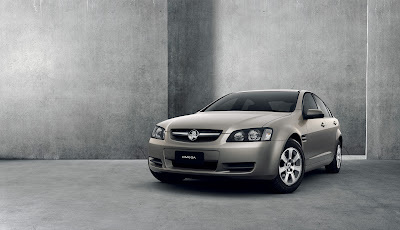 Despite stiff competition from Toyota’s thrifty Corolla, Holden’s venerable Commodore was the best selling single vehicle for the 13th year straight. “Sales in December held up well with buyers taking advantage of the many competitive opportunities available in the marketplace,” said Andrew McKellar, chief executive of the Federal Chamber of Automotive Industries. “We must be realistic about the outlook for the year ahead and acknowledge the impact that the global financial crisis is having on the broader economy,” he said. “Nonetheless there are positives that will underpin demand in 2009, including lower fuel prices, reduced interest rates and the impact of additional fiscal measures implemented by the Federal Government,” Mr McKellar said. Light commercial vehicles were a major contributor to the overall market result with the segment increasing 4.2 per cent during 2008. The FCAI forecasts that 880,000 new vehicles will be sold during 2009. Despite nervousness in many sectors, the cavalcade of 2009 new vehicle releases rolls on. Audi will be particularly busy with their new A3 Sportback TFSI quattro in 1.4 and 2.0 litre. A new RS6 sedan, Q5 and S4 are due and a facelift for A6. Ford are revealing a new Fiesta and facelifting Territory, Focus and Ranger. Despite shelving their US export plans for the sauced-up ute, there will be an update for Commodore that will include cylinder-deactivation technology to improve fuel efficiency. Any new model from the innovative Subaru stable is always eagerly anticipated and 2009 will see a new generation Liberty rumoured to be bigger, sexier and uprated. Honda’s sub-$30k Insight hybrid should excite green car buyers when it arrives late in ’09, while the other eco-option, Toyota’s Prius appears in an upgraded Generation Three format with a solar roof as optional. Under “unusual and surprising”, expect to see a 4-door Porsche sedan and diesel Cayenne, a mid-size Suzuki, a mini Alfa, a Chinese Chery and GM’s almost-forgotten Cadillac return to our shores.